Is cooling the house heating up the planet? In many parts of the country, this summer was one of the hottest in history. The Twin Cities tied a record stretch of 39 days at or above 80 degrees. A lot of us have been running our air conditioners non-stop. Five percent of all the electricity used in the U.S. goes to cool our homes. And climate scientists say we can expect more hot summers. Which raises a question: How much does the energy we use for air conditioning contribute to global warming? 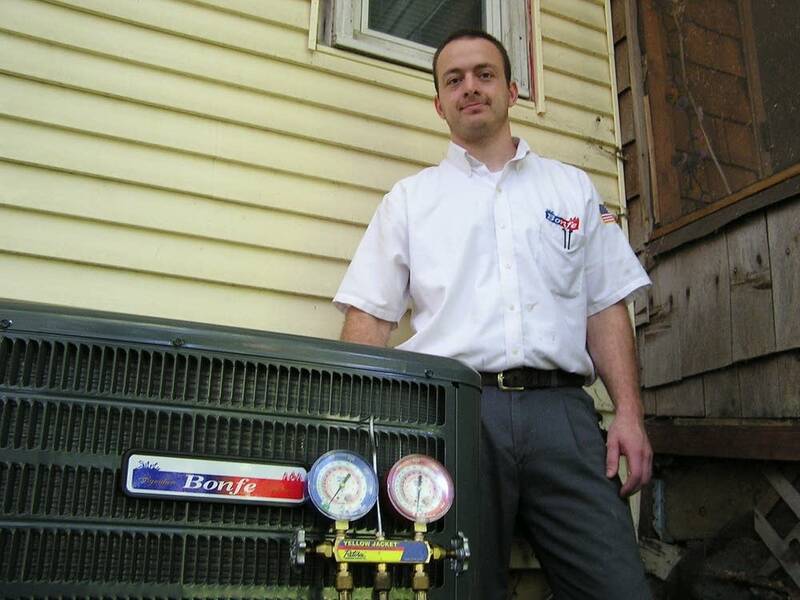 Near White Bear Lake, Kurt Feagler is replacing an air conditioning system in an older house. His company, Bonfe's, has had a lot of work this summer. "We've been more busy, lot of service calls, especially with the hotter weather," Feagler said. The company had 75 percent more calls for air conditioning installations in the summer of 2012 than the previous year. Outside, he checks the efficiency rating of the new unit. It uses less electricity than the old one. Air conditioners have been getting more efficient; the best ones today use as little as half the electricity as the older models needed. But they still consume nearly one-quarter of the electricity we use in our homes. The new air conditioner will keep this home cooler, but will it make the environment warmer? Experts predict that as the climate warms, people will use more energy to cool their homes and less energy to heat them. For heat, we use a variety of fuels -- natural gas, fuel oil, wood. But air conditioners run only on electricity. So electricity use could go up. In Minnesota, about half our electricity comes from burning coal. That's where the concept of an air conditioning feedback loop begins, said J. Drake Hamilton of the nonprofit group Fresh Energy. "When we switch to using more air conditioning we're using more energy, so we're causing more coal to be burned," Hamilton said. "And in effect we're contributing to a vicious cycle." The U.S. Energy Information Administration says coal is the fossil fuel that produces the most climate-warming carbon dioxide when it burns. And Hamilton says burning coal to make electricity is notoriously inefficient -- as much as two-thirds of the fuel is wasted. That means a lot of carbon dioxide is going into the air: on average, two tons of CO2 per year from each air conditioned house. Those gases combine with others and contribute to changes in global weather patterns. Scientists suggest a warmer climate may disrupt power supplies in various ways. For example, most power plants use river or ocean water for cooling. This past summer, two plants in the Midwest and one on the East Coast had to cut their output or even shut down because the water was too warm to cool them. And in some parts of the country, drought could reduce the flow of rivers enough to fail power plants' needs, as well as reducing hydropower production. There's also a bigger picture. People in developing nations are increasingly demanding the modern comforts of life. Imagine billions of people all over the world turning on their air conditioners, and try to picture where the power will come from, and the greenhouse gases those AC units could be putting out. That's why Hamilton of Fresh Energy advocates for solar, wind and other renewable sources of power. "That's going to be a much lower emission source of fuel," Hamilton said, "a zero emission source of fuel, so when people are keeping themselves cool they don't also have to worry about contributing to this vicious cycle that's causing climate change." In the meantime, there's conservation. Hamilton says just as it doesn't make sense to run the furnace without buttoning up the house, people should plug holes, add insulation and use the air conditioner conservatively to get the most out of it. And make sure old air conditioners are properly recycled, because if the fluid leaks into the air, it becomes a very powerful contributor to global warming.